Spice up your cooking time with this fun, funky and lovable apron. This eye-catching Little Chef Owl Rustic Rainbow Apron will surely spice up cooking activities! Quirky yet cleverly made and brought to life by using off-cut material from 100% antique cotton fabric or beautiful, glittering sari silks in fabulous shades. Fun yet functional with sewn-in pockets, neck strap and waist ties. The perfect funky kitchen accessory and a lovely, jolly gift for anyone who loves cooking no matter their age! Also a great gift for an owl enthusiast. Available in two sizes: 'Big Chef' and 'Little Chef'. 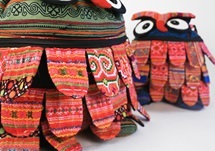 Individually made by craftswomen in a small foothill village of northern Thailand. 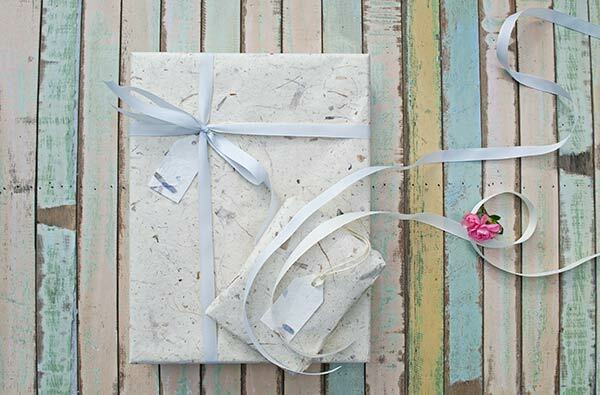 Eco-friendly use of materials sourced from 100% cotton fabric off-cuts in lovely shades. Fun and functional design with sewn-in pockets, neck strap and waist ties.